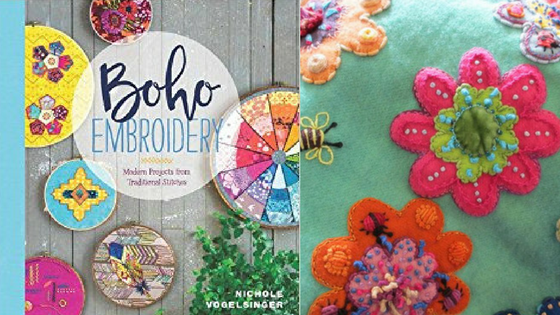 Author, Nichole Vogelsinger, has "created an entirely new way to play with needle, thread and fabric" (Boho Embroidery). Come let Vicki teach you some of these new (and traditional) stitches to create really amazing embroidery in a hoop! We will create a stitch sampler to learn basic embroidery stitches, and as bonus, it looks great as a wall hanging. Upon completion of sampler, you can move on to projects of your choosing! Author Sue Spargo's style uses felted wool fabric and 50 different stitch styles to create vivid, lively textures for a wide variety of creative projects. Visit us in store to purchase a punchcard that allows you to participate in the club for seven visits at the price of five! Requirements: Materials: Boho Embroidery book and/or Sue Spargo Creative Stitching book (books are not mandatory, but recommended), floss, thread, fabric, hoop and needles all available for purchase at the shop. 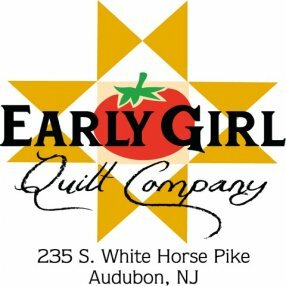 Okay to purchase and choose materials during class so Vicki can assist you in choosing.